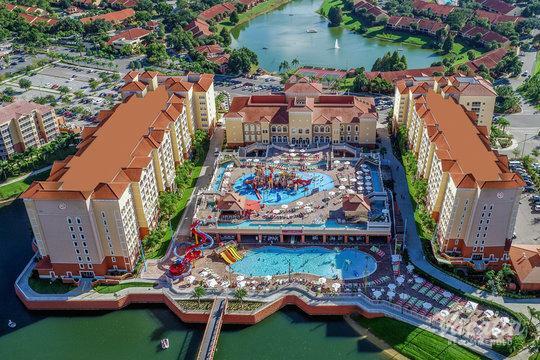 Feel like you and your family are in the midst of the rainforest while vacationing in the heart of exciting Orlando at Parkway International Resort. This timeshare property offers safari-themed, two-bedroom accommodations in 1,250 square feet. 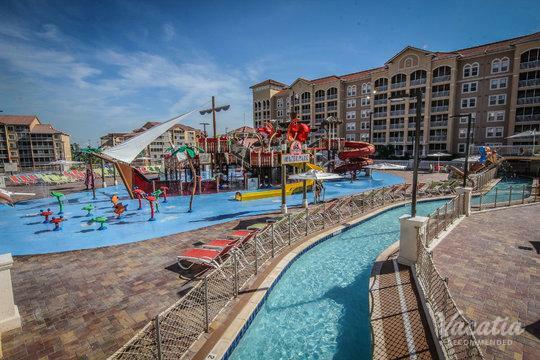 Each unit has living and dining areas, a complete kitchen, sleeper sofa, flat screen, LCD television, jetted bathtub, washer/dryer and a screened-in balcony. On-property amenities include a swimming pool with Kenya Kafe bar and grill, a children's wading pool, waterfall, hot tub, fitness center, tennis court, shuffleboard, game room, playground, BBQ/picnic area plus planned activities for the entire family. Perhaps most unique at Parkway International Resort is a meandering Nature Trail through the Florida forest and fauna. 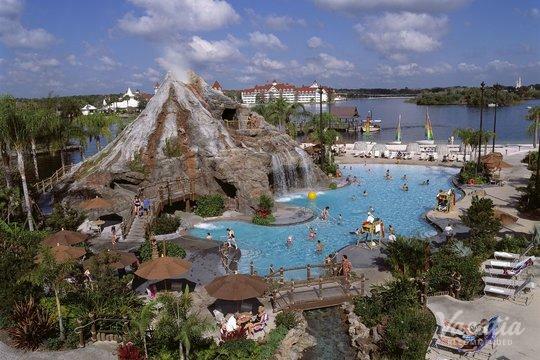 Walt Disney World is less than a mile from the resort.